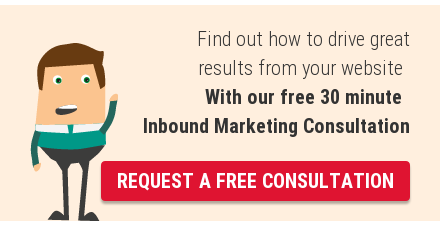 When you are introducing Inbound Marketing into your business, one of the biggest decisions you have to make is whether to manage it in-house or use an agency. In the video, I explain that you'll need to audit the skills you have in-house and figure out where the gaps are. Any inbound marketing campaign will need a strategy, detailed planning, content, SEO, design, web development and social media plus project management to hold it all together. Once you know which elements you need help with, you can either hire people who have those skills, or choose an inbound marketing agency. They should be able to handle everything for you, or work in partnership, looking after those areas where you have fewer strengths. For example, if you have subject matter experts who can write great content, they should be doing just that, leaving your agency to focus on planning or design or one of the other elements of your campaign. Because your agency will be working on inbound marketing for a number of different clients, and will have been building up knowledge over a number of years, they won't have the same learning curve that your team will. They already know what sort of ideas work best and what doesn't have the same impact. Trust them and learn from them. On the other hand, your team will have in-depth knowledge of your markets and that is also valuable. As I said, it's a big decision. Take your time and work out what is the best approach for your business. If you'd like to chat it over, we'd be happy to give you our honest opinion.